We follow the personal and professional lives of a group of high powered lawyers in one of Mexico's most prestigious law firms. 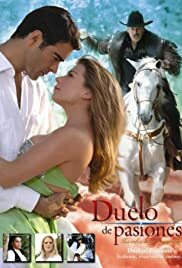 ... strong performances by the lead actors will keep the audience for this novela which I suspect was inspired by a bad fairy tale. The premise of the story would perhaps work better as a period piece. When Alvaro Montellano receives a letter that appears to imply that his beautiful wife, Soledad, has never been faithful to him, he concludes that their daughter, Alina, isn't his. After an unsuccessful attempt at legally disowning her, he banishes her to the woods an hour away from his property and intimidates all his peasant workers into silence. What he doesn't know yet is that Alina has fallen in love with the handsome military officer who is the heir to the adjoining estate. Emilio Valtierra is then deceived by several people with varying motives into thinking that Alina had abandoned him and when he finally meets Alvaro he is told that Alina is dead. In the midst of his despair he encounters her in the woods near her father's property. He is changed by the loss of her two years earlier and she sees the change. He does not yet know that his Tio Maximo is Alvaro's accomplice in this deception and that Maximo is sinister in related ways... or that an ex-girlfriend he got back together with on the rebound will come back to further destroy his future. Pablo Montero finally has a chance to shine as the dashing Emilio who is thus far too honorable to see the evil in others. The black formal-dress uniform makes him look like a Disney prince... and the womanizer he is accused of being. Equal in credibility is Jose Maria Torre as his sensitive, artistic brother Angel who, perhaps because he is not concerned with the standard macho stuff and responsibilities of a firstborn, is a keen observer of people. Ludwika Paleta is the abandoned daughter, suffering bravely for the loss of her family, lover, and identity. Erika Buenfil suffers beautifully as Alina's tortured mother, but you wonder why it's taking so long for her to try to escape. Ana Martin, normally a beloved maternal figure, is convincing as the morally questionable Luba, the local witch designated as Alina's keeper. The biggest acting challenge in this series (thus far) is faced by Sergio Goyri as Alvaro. Given the situation and his character's insane behavior he needs to convince us that Alvaro is mentally ill to have us buy the idea that he will accept the word of a forged letter and not get a DNA test to settle the issue once and for all. He won the Best Villain acting award for his role as the control-freak villain in PIEL DE OTONO, so he was a logical choice for this character. Cinematographers in Mexico are getting fond of using natural light to a greater extent than they should; there are scenes in which the natural lighting needs a little help. The fondness for dark-wood antique furniture and other traditional touches beloved of the set designers at Televisa should dictate a change in the lighting of these programs.